How hot is the new Xiaomi Mi Mix 2s? “Very” is the answer. The comment section lauded it for the slender bezels of its notch-free display, although the LCD vs. AMOLED question was prevalent among commenters. Everyone has preferences in that debate, but the Mix series has used LCD since its inception. And while it’s a pretty major upgrade, keep in mind that this is an “s” model so a complete overhaul was unlikely. The new chipset and dual camera sure are appreciated, though. 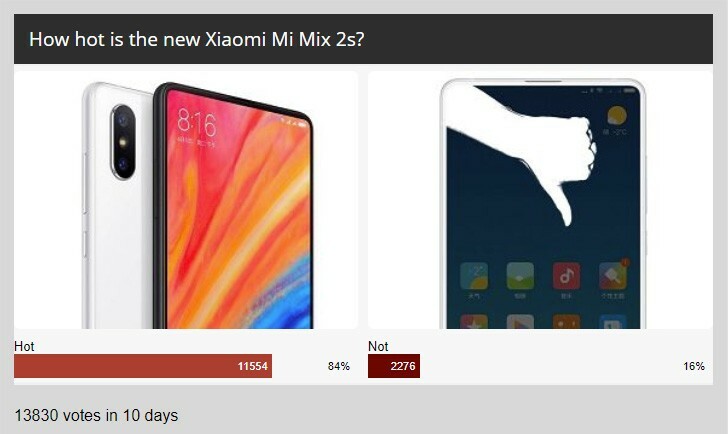 We’ll echo some of the comments wishing for an Android One version of the phone – MIUI is feature-packed, but some prefer to build up their phone’s software suit from the ground up by picking the apps they like rather than using the manufacturer-supplied ones.